Israel, 1990. In modernist form. 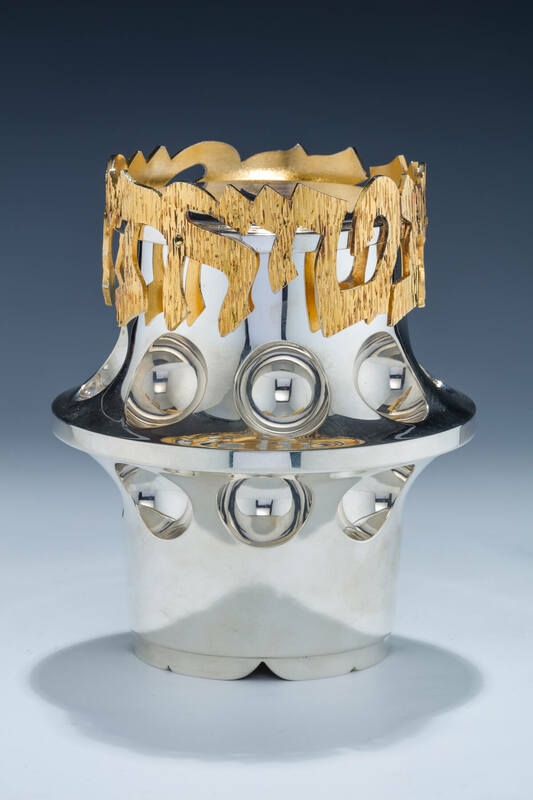 With gilded silver band with the prayer on the lulav. Signed. 6.5” tall.